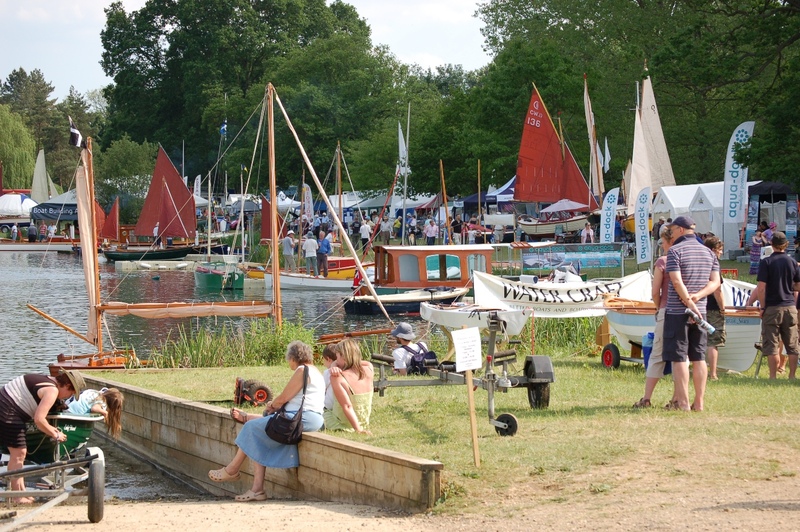 The Beale Park Boat Show runs from this Friday to Sunday (7th – 9th June, 2013) at Lower Basildon in Berkshire. The organisers say that this year’s event is looking good – exhibitor bookings are strong, there new attractions and visitor numbers are expected to be increased as children are now admitted free when accompanied by a full-paying adult. The show is well known for its traditionally built craft, the Watercraft magazine competition for amateur boatbuilders and its race small boats powered by various cordless tools. There are also displays and demonstrations, free boat trips (subject to availability), and a ‘try a boat’ scheme operated by exhibitors and children’s activities. The Historical Maritime Society will this year take to the show’s seven acre lake in a 23ft full-size replica of a frigate’s launch to perform evolutions under oars and sail. On dry land, the re-enactors will return to their marquee to explain aspects of life at sea for the officers and men, and for the ladies at home; who will also be present at the show telling historical tales of what life was like back then.Visitors will have the chance to learn how crews were fed, what they drank, how ship to ship signalling worked and much more. The Society also plans to show a WWII four-man commando canoe. I hoping to make it along on the Friday – if I make it, I will certainly call on Lodestar Books publishers of new and neglected nautical writing, the Boat Building Academy, and the International Boatbuilding Training College.